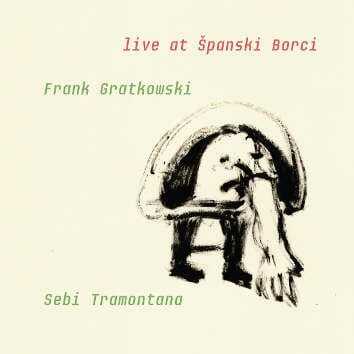 Frank Gratkowski, bass clarinet, Bb clarinet, alto saxophone; Sebija Tramontana, trombone. This duo introduces us to their interchange of composition and improvisation via two sets of abstract music. One of the ‘rules’ of their games is to use the ostinato technique (see below) and this, though all seems to be standing still, creates an unusual, unexpected sense of movement, of progress. The two musicians have collaborated for some years now and it was a joy to listen to this record and to note how one session blended into the earlier without any apparent hitch. The music is quite exhilarating, often humorous and at times penetrating. Track 2, Spirited, for example, is precisely that. The trombone and bass clarinet join together in a discourse in which each seems to be challenging the other to further the prospect of stretching the corporeal parameters of their instruments as unfamiliar sonic zones are explored. This is in effect an adventurous record, notwithstanding the sense of fun which it also manages to generate.